Decommissioning of nuclear facilities and related remedial actions are currently being undertaken around the world to enable sites or parts of sites to be reused for other purposes. Remediation has generally been considered as the last step in a sequence of decommissioning steps, but the values of prevention, long-term planning and parallel remediation are increasingly being recognised as important steps in the process. 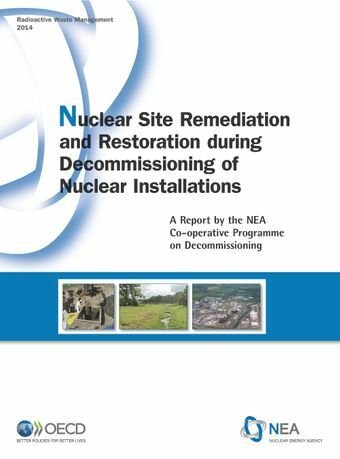 This report, prepared by the Task Group on Nuclear Site Restoration of the NEA Co-operative Programme on Decommissioning, highlights lessons learnt from remediation experiences of NEA member countries that may be particularly helpful to practitioners of nuclear site remediation, regulators and site operators. It provides observations and recommendations to consider in the development of strategies and plans for efcient nuclear site remediation that ensures protection of workers and the environment.